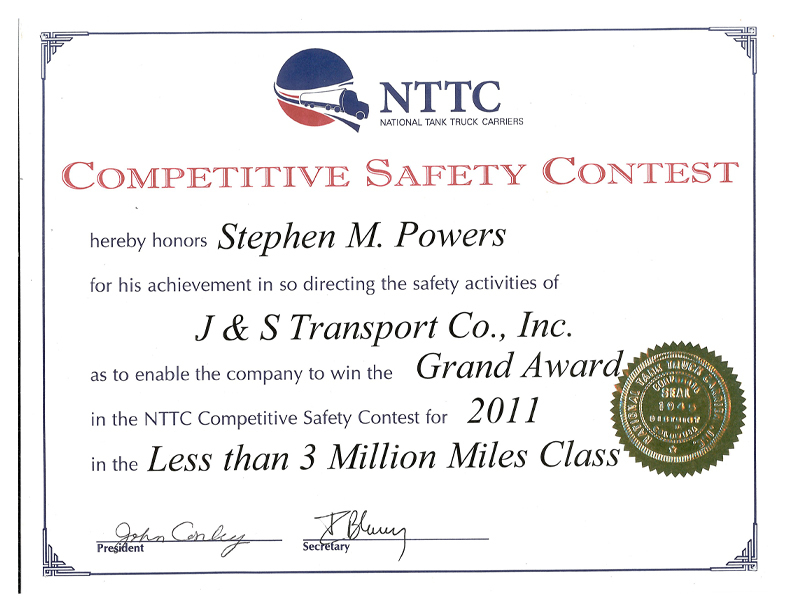 As we are now in the icy grip of winter, I wanted you to be familiar with Emergency Declarations and how they relate to you and J&S Transport. Emergency Declarations may be issued by the President, State Governors or the Federal Motor Carrier Safety Administration. These Declarations are intended to provide vital supplies and transportation services to a disaster area in the United States. The Emergency Declaration allows temporary suspension of certain regulations, including Hours of Service, for motor carriers engaged in specific areas of the emergency relief effort. We can all agree that J&S Transport provides an invaluable commodity during the winter; heating oil. During natural or man-made disasters, the flow of heating oil must be maintained; regardless of conditions. When a disaster occurs, and an Emergency Declaration is issued, motor carriers and drivers responding to provide “direct assistance”, are exempt from applicable regulations to 49 CFR Parts 390-399. 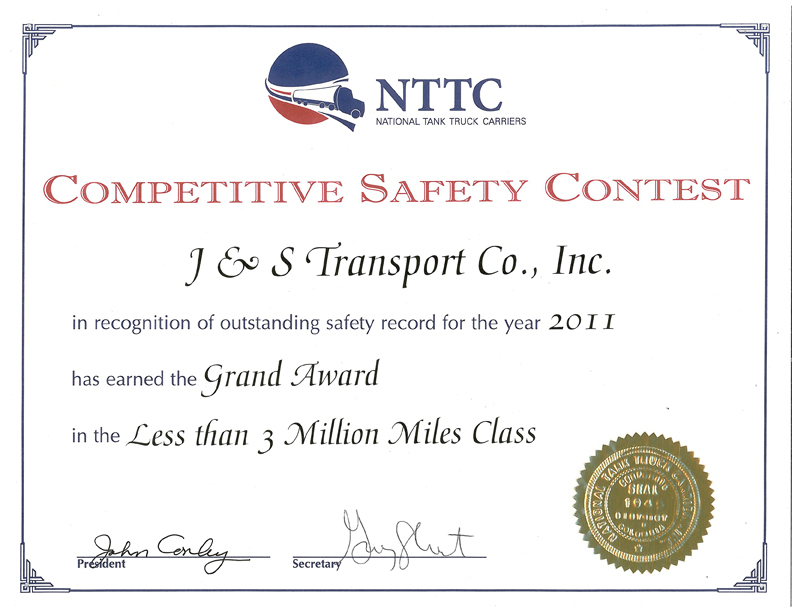 For J&S Transport, this involves Hours-of-Service. Declarations cannot exempt drivers/carriers from the requirements relating to CDL, drug/alcohol, hazardous materials, size & weight, State/Federal registration and tax requirements. Relief from Federal Motor Carrier Regulations is limited to a maximum of 30 days however, State Governors can now extend that 30 day period up to an additional two (2) – 30 day periods for a total of 90 days. ➢ Drivers responding to provide direct assistance during an emergency are exempt from applicable regulations in all States on their route to the emergency, even though those states may not be involved in the emergency or stated in the Declaration of Emergency. ➢ Even if an Emergency Declaration is still in effect, the emergency must be on-going and you must be providing direct emergency assistance in order to be exempt from the safety regulations. ➢ There is no requirement to carry a copy of the declaration in the vehicle unless so specified in the declaration itself. ➢ Make sure you have the correct permits, including size and weight, as they may not have been waived. ➢ Even though safety regulations may have been suspended, drivers and carriers are expected to use good judgment and not operate vehicles with fatigued or ill drivers, or under any conditions presenting a clear hazard to themselves and other motorists using the highways.